Romania will support Albania’s integration in the European Union. This was declared today by the Romanian ambassador to Albania, Mircea Perpelea, at a time when his country has just taken over the presidency of the European Union Council for the next six months. 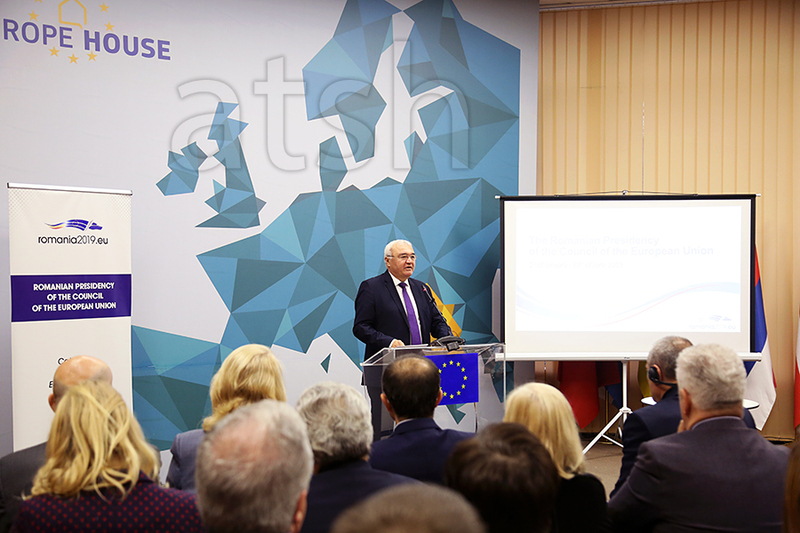 According to him, this is an area of a strategic importance for the EU and that the Romanian presidency will pay a lot of attention to Western Balkans, focusing on the stability, security and the development of this part of Europe. “As far as Albania is concerned, Romania will continue to offer its support for the efforts being made by the country to be integrated in the EU. The Romanian presidency will also do everything it can to push for a positive decision in June 2019 for both Albania and Macedonia”, the ambassador said. Meanwhile, ambassador Perplea also said that “we have encouraged our Albanian partners to continue their efforts for the reforms on a political and institutional level”.